Oxford Street has two distinct parts: the residential area once known as “Center” and the industrial area known as Skunk Hollow. Additions or corrections are greatly appreciated. If an address is underlined, click on the link for pictures or additional information. Much of this information came from permits and inspections records on microfiche and was sometimes difficult to read. Another caveat is that many of these addresses changed over time. The eastern end was part of what was known as “The Center” neighborhood in the era before World War II. 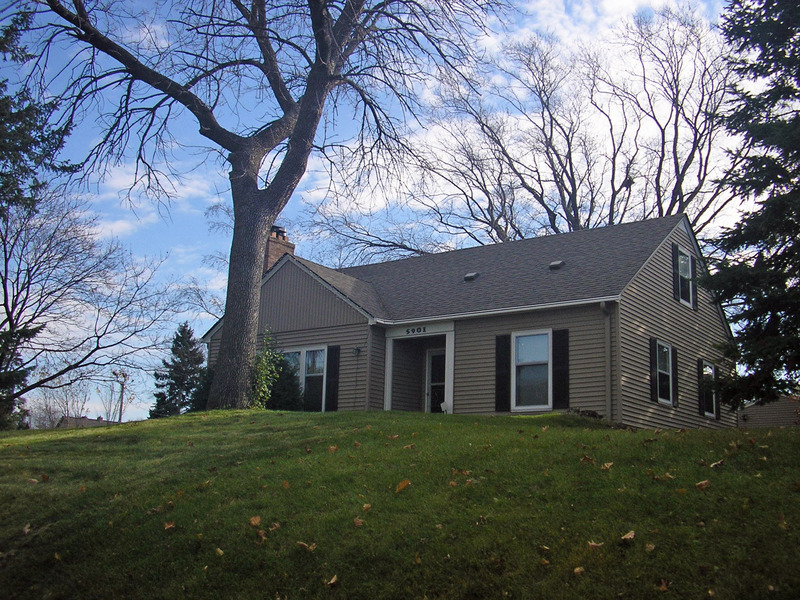 It is now part of the Elmwood neighborhood. In the original 1887 plat of St. Louis Park Centre, it was called Summit. Before the names of the village’s streets were renamed in 1933, it was one of three different streets with that name. It has an interesting mix of some of the city’s oldest homes and homes built in the 1950s. 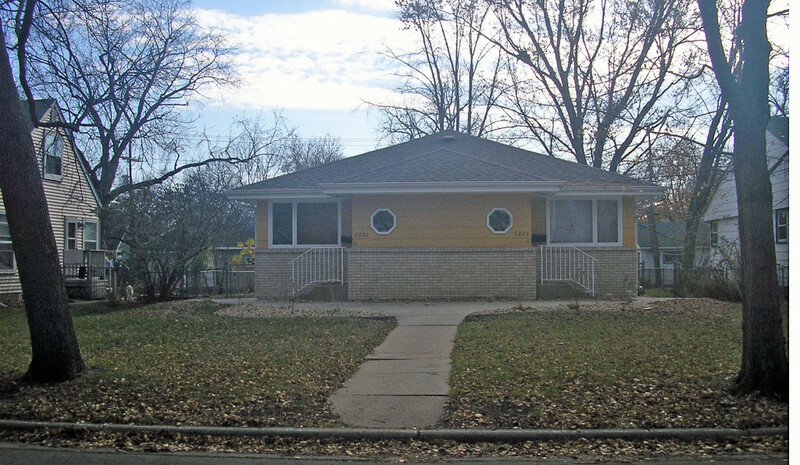 Did the postwar homes replace older homes, were they infill houses, or perhaps some of both? 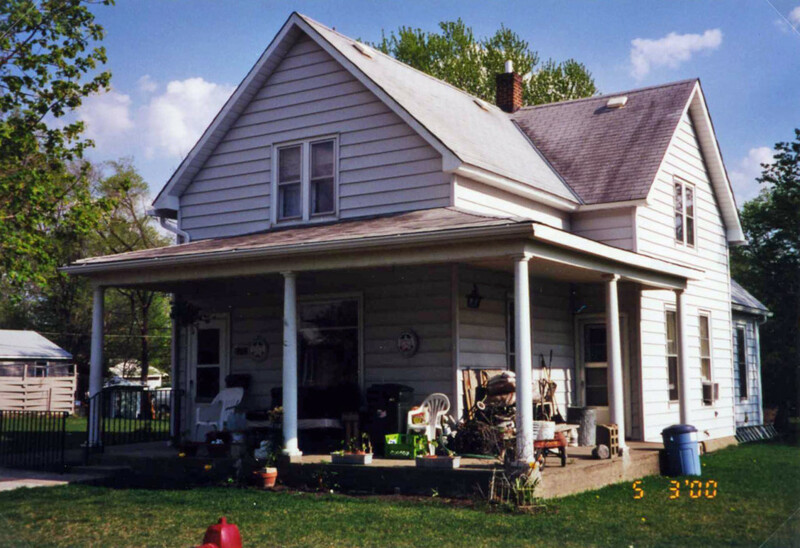 All but the house on the western corner of the 5900 block were related to the Felber family. Jack Felber was the Station Agent for the Milwaukee Road from 1925 until he died in 1966. He and his wife Flora raised seven children. The block is very confusing because the addresses changed, the land has been replatted, and the buildings have been removed; the Village in the Park development stands at this site today. The following information comes from St. Louis Park directories, permits and inspection records, and census records. The Felbers had four addresses; they could have had two or three or four houses! Instead of trying to reconcile this information, we’ll just lay it out. This would have been the house closest to Wooddale. Son Bob Felber is listed at this address from 1950 to 1956. It may be the same as 5916 Oxford. Jack Felber built a new house in 1940. It had one story and cost $2,000. Jack lived here until he died in 1966. Son George Felber lived here from 1941 to 1942. A Louis Johnson seems to have been here from 1945 to 1957. In 1950 a garage was built. Son Bob Felber is listed here from 1949 to 1951. In 1978 Jack’s widow Flora Felber and Delores Sorensen (their daughter?) were living in the house. In 1985 tenant Glenn Wichterman purchased the building from Alfred R. Sarvi. Mike Lewis is on a permit in 1991. The house was apparently being sold in 1994. In 1941, Jack Felber’s children Katherine and Theodore lived here. Theodore got married and moved to 3426 Zarthan in 1942, went into the Army in 1943, and was killed in action in 1945. Jack is listed here from 1942 to 1947. George and Bob Felber lived here from 1945 to 1947. Daughter Florence Felber is listed from 1944 to 1947. City records indicate that 5920’s address was changed to 5924. Jack had this address from at least 1930 to 1941. The house was connected to the Village water system in 1938. In 1940 son George was listed here. In 1958 the name Evelyn Dahler was connected to the property. From 1969 to 1985, Garry and Michele Neururer were the owners. Leo Zaback’s name is on a 1992 permit. 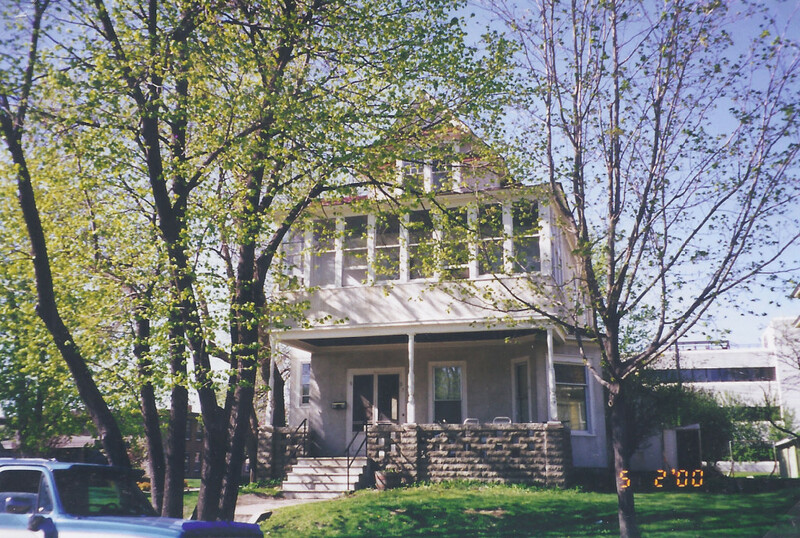 In 1994 the home was owned by Robert Moiltor and Associates. 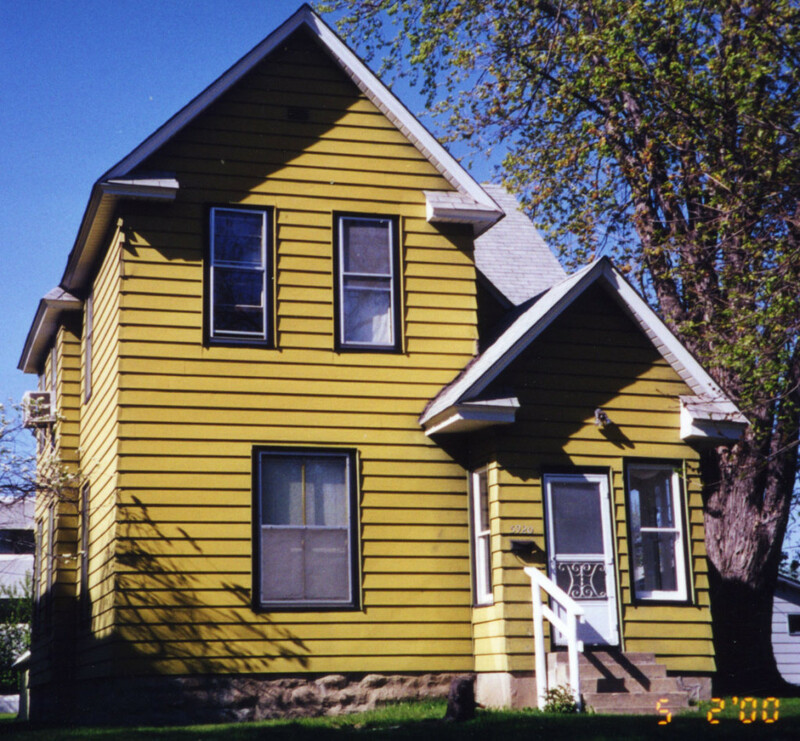 This house was built in 1894 and was located behind Lincoln School. From at least 1933 to 1947 it was the home of the Herbert G. Freeman family. Freeman was the Treasurer for Monitor Drill. Mrs. Freeman was very active in the Republican Party and received a citation from the Party in about 1889. The home was connected to the Village water system in 1934. From at least 1952 to 1983 it was owned by William Sandberg. In 1985 the names John Stephen Johnson and his wife Virginia were on building permits. In 1990 there is the name Morris Sherman. The photo below was taken in 2000. The building was removed for the Village in the Park development. 6000 Oxford is an alternate address for the Union Congregational Church. 6016 Oxford was built in 1891. This may have been the home of Judge Smith, and his wife Maude Pratt Smith, as she preferred to be called. Smith was the Justice of the Peace and one of the sponsors of the first Boy Scout troop in the Village. Mrs. Smith gave piano lessons from the home. In 1931 the Dahl family moved into this house. Seven-year-old James would become a mayor of St. Louis Park. From 1933 to 1939, D. K. Whalen was listed on permits. In 1939 the name Ted Werner comes up. The house was connected to the Village’s water system in 1941. 1945 shows the name Tod Olsen on a permit. From at least 1950 to 1961 this was the home of the Edwin Whipps family. Thomas R. Krueger, Sr. is shown as the owner from 1971 to 1979. The current owners bought the house in 1979. For some reason there is no 6100 block of Oxford. 6220 Oxford: Built in 1973. In 2012 this house was rebuilt. 6224 Oxford: See 6228 below. 6228 Oxford was built in 1892. The original address was 6224. 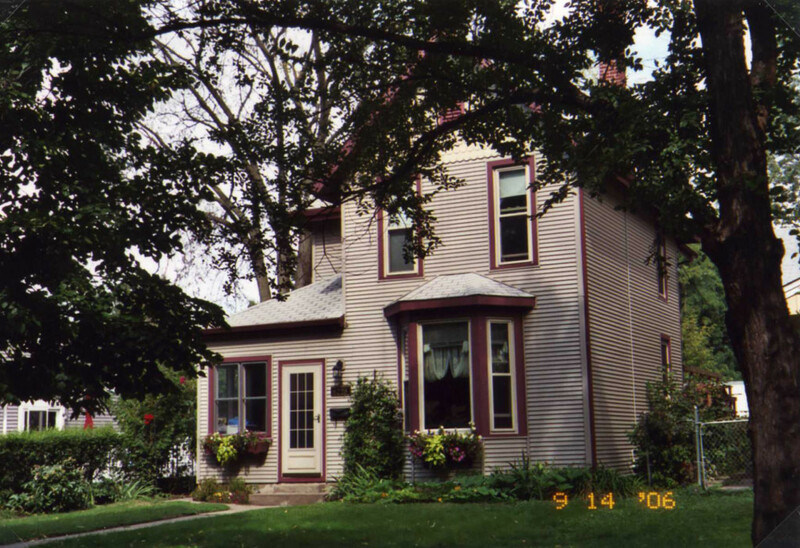 This was the home of August Rehfeld, one of the many men who came from Horicon, Wisconsin with Monitor Drill. It was owned by the company and payments were deducted from his paycheck. Rehfeld’s wife was Pauline. 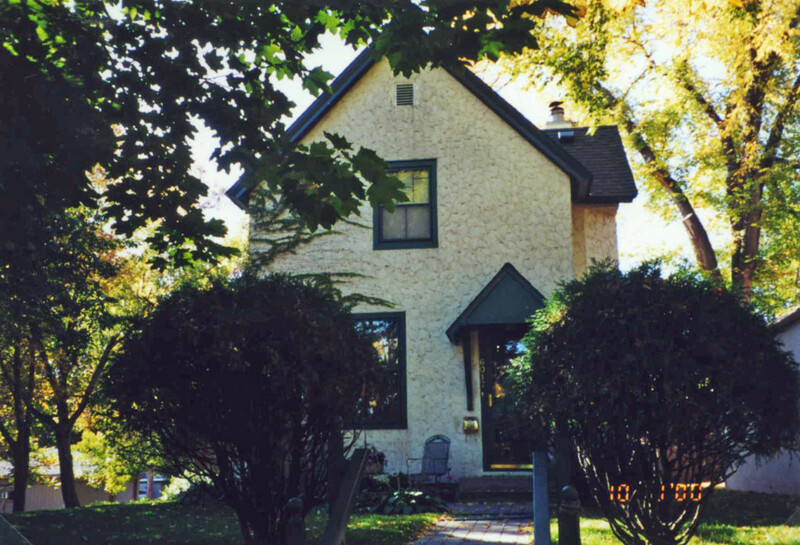 From at least 1933 to 1956 this was the home of Peter and Marjorie Christianson. A note says that Marjorie was killed in an automobile accident. In 1972 a permit indicates that the owner was Mrs. David Jenkins. David Englund was the owner from about 1975-76; he may have been an investor. From about 1979 to 1989 the owners were Robert and Rhoda Poretti. The current owners purchased the property in 1992. 6232 Oxford was built in 1893. 6258 Oxford: Not an address today. In 1933 listed as the address of Brad Westover. This may have been the site of an 1890s home. In 1930-33 it was the address of Edward A. and Pansy Sykes. Edward was born in England. The original house was replaced in 1991. 6324 Oxford: This home was built in 1991 and replaced houses at 6326 and 6330 Oxford. 6326 Oxford: Year built unknown. Demolished and (with 6330) replaced with 6324. This was a garage that was sold to the City in June 1972 and then demolished. The site is now part of 6324 Oxford. This home was presumably at the northeast corner of Oxford and Dakota. The 1930 Census shows it as the address of school janitor Arthur J. Crosby. In 1938 it was the home of Anna Milless. It was replaced by the 1991 home at 6324. On the south side, between Zarthan and Wooddale, is Center Park. Records show that this property was acquired by the city for a park in 1943. 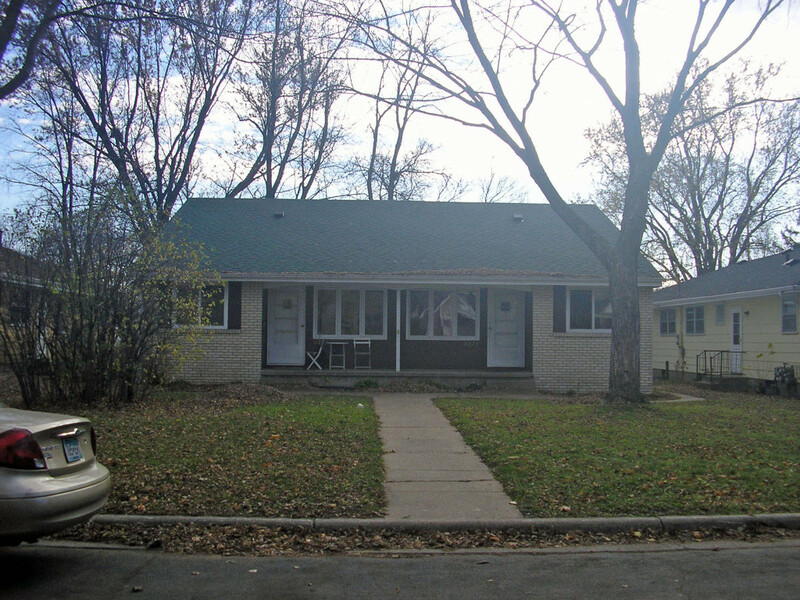 5901 Oxford: Built by Helen Bradley in 1950 after her home at 36th and Alabama was sold and became part of Minnesota Rubber. 6017 Oxford was built in 1900. 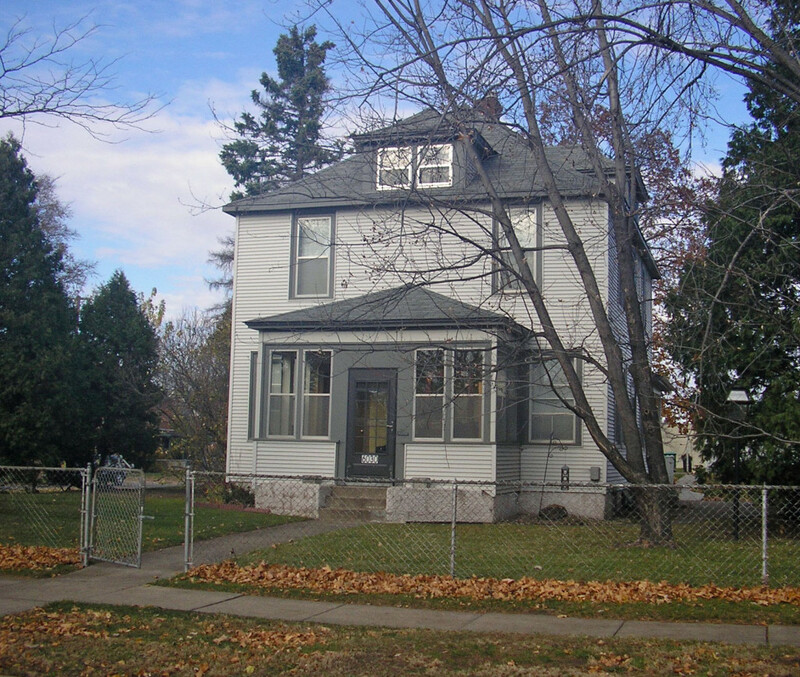 From at least 1933 to 1941 this was the home of William C. and Lillian Hoops. He was a builder, carpenter, and jobber. One of his descendants says that he also worked for Schaefer’s Ice Cream and that the family had owned two thirds of the street. The homes east of this house were all built in the 1950s. The house was connected to the Village system in 1939. By 1951 the home belonged to Edwin Stoops, who built a dormer in the attic that year. On March 27, 1972, there was a fire that started in the furnace in the basement. The home was occupied by tenants and sustained $6,000 in damage. In 1975 the owner was listed as Birgir Hardee. From at least 1977 to 1989 the owner was David Englund. His name comes up on another property, and he may have been a real estate investor. 6227 Oxford was built in the 1890s. This was the home of the Pelow family in the 1933 directory. Sophia Pelow was listed as the owner in 1938 when the house was connected to the Village water system. The house was demolished in 1966 by the Curtis Reinhold Construction Co. The site was replaced by a duplex partially constructed from materials from the old house. The new building was renumbered 6229 – see below. 6229 Oxford: This is a duplex that was built in 1966 on the site of the former house at 6227 (see above). 6331 Oxford: Built in 1900. Marie Hartmann remembers that the Arthur and Eleanor Schwab family was the first to have electricity in their home. The 1933 directory lists an E.W. Smith at this address. In 1986 it was the home of Inez Gingrass. The following is a list of industrial properties in the Skunk Hollow part of Oxford, along with some history gleaned mostly from city tax records. 6410: Originally owned by the Minneapolis, Northfield and Southern railroad. The Smith family built the present building in 1990. 6525: Builder Allen Garrison owned this property in 1961. The present building was built in 1980. 6606: Vacant land, originally owned by Allen Garrison. Now owned by the Hasselbring Family Partnership, the family that owns Ace Supply Co.on Edgewood. 6610: Vacant land. Allen Garrison owned in 1961, the Nielsen Investment Co. in 1968. Purchased by Construction Materials Inc.
6731: In 1971 this was the address given for the Nabisco Food Services Division, which supplied cookies and crackers to schools, hospitals, restaurants, and vending machines. T.W. Hokanson was the manager of 7 employees. There is no such address today, and it seems inconsistent with the buildings on either side. Any help would be appreciated. Nabisco also operated at 7300 W. 27th Street. 6850: Vacant land owned by Allen Garrison in 1961, then Nielsen Investment Co. in 1968. Purchased by Construction Materials Inc in 1984. 6900: Built in 1988 by or for the St. Louis Council Home Assn. 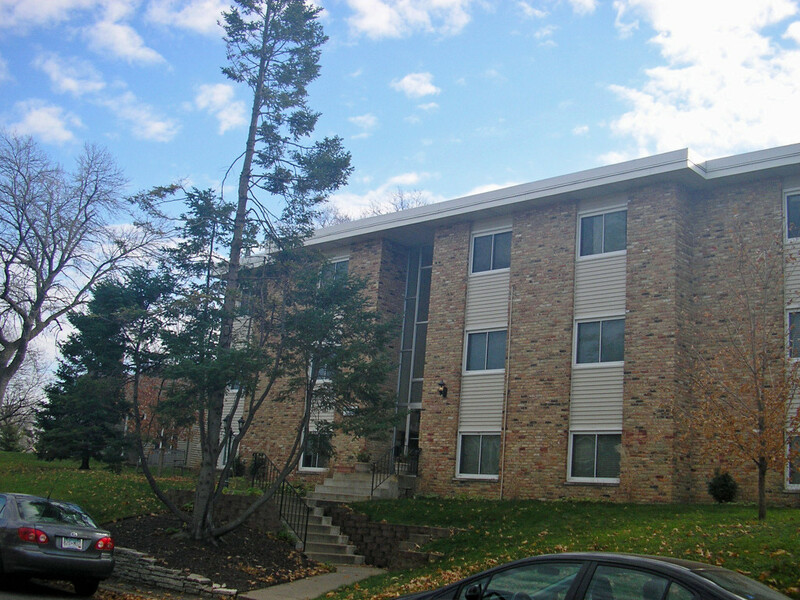 6951: This property is owned by Park Nicollet. Is it the swamp? A parking lot? It measures 265′ x 495′ x 410′ x 483′. 7000: Also owned by the St. Paul Terminal Warehouse Co. in 1959, current building built in 1969 by the Oxford Investment Co.
7009: no such address today. In 1971 it was published as the address of Ver-Sa-Til Associates, Inc. machine shop. Eel T. Bogema, president (25-35 employees). 7101-21: Built in 1976; houses the Robert B. Hill Co.
7300: M.G. Astleford owned the land in 1962. The current building was built in 1971 by the R.L Johnson Investment Co. for Northland Aluminum. 7305: City Municipal building, rebuilt in 2010. 7320: Salkin & Linhoff are listed as owners in 1952. M.G. Astleford owned the land in 1955 – in that year he installed a “mixing plant.” The current building was built in 1971 by the R.L. Johnson Investment Co.
7400: In 1962 it was the Security Warehouse – wrecked in 1971? The current building dates to 1977. 7430: Also part of Security Warehouse Co. in 1962. Current building built in 1970; houses Mid-City Precision. 7446-50: Built in 1968 by Mullen and Poole – part of old Security Warehouse site.